In addition to the games there will be coaching, a raffle, a barbecue, a bake-off competition and of the course the bar will be open! In addition to all the above we are so pleased to announce that former England cricketer Caroline Foster (Atkins) will be in attendance! Caroline began playing cricket for Burgess Hill at the age of nine. Since leaving BHCC she went on to forge a fantastic career. She held the record for highest opening stand in a Test match sharing 200 with Arran Brindle and she also held the record for the most runs in a One-Day International partnership too, sharing 268 with Sarah Taylor! Her crowning glory came in 2009 when she was part of the victorious team that won the World Cup. Caroline even top scored in the final! All in she played 67 times for England across Test and One-Day internationals and we are immensely proud to say she started playing cricket at BHCC. 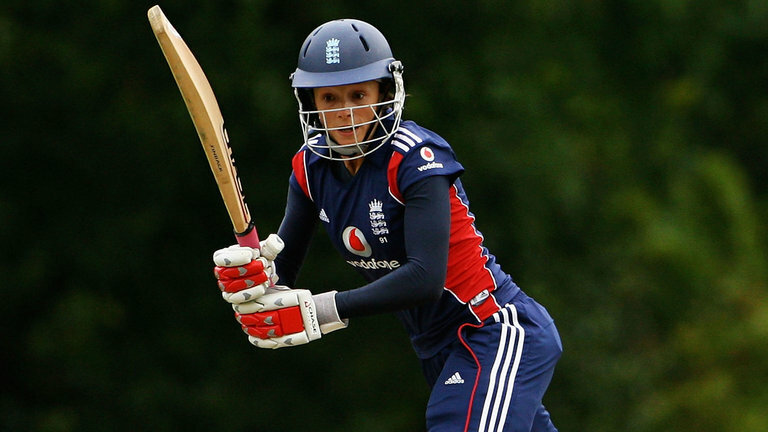 We’re thrilled to have her back at Burgess Hill for our inaugural Womens and Girls’ cricket day! Importantly however, in order for the day to be a success we need a few things from you! We are in need of raffle prizes so please let Alec or Geoff know if you have something you would like to donate or reply to this email. We are also calling on senior players and coaches to run some coaching sessions during the day. Lastly if anyone would like to coordinate and/or help judge the bake-off it would be more than welcome. We would like a panel of four judges. More than anything though it would be great to see as many players, friends and family members on the day to cheer the girls on!